Simply Egg pasta for all of you who are always on the go, perfect for lunch box with good protein at teh same time. While pasta and egg get boiled you can make the sauce ready. In a non stick pan add 1 tbsp of olive oil, on low flame adds garlic and chili flakes so that it does burn, just flavors the oil. When garlic turns little pink add tomato sauce, and garlic powder, salt and pepper. Mash one egg in the pan and add the pasta to it. Toss it well add the chili sauce to it. 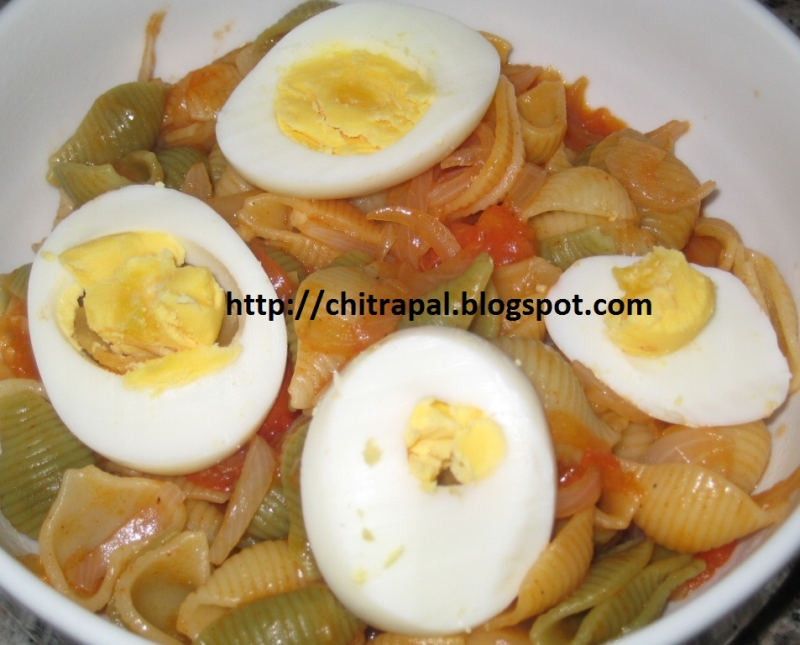 Garnish with thinly cut slices of boiled egg..